Price, R. A., A. Liston, and S. H. Strauss. 1998. Phylogeny and systematics of Pinus. Pp. 49-68 in: Richardson, D.M. (ed. 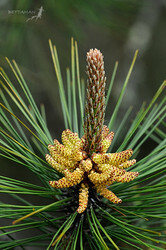 ), Ecology and Biogeography of Pinus. Cambridge University Press. Wang, X.-R., Y. Tsumura, H. Yoshimaru, K., Nagasaka and A. E. Szmidt. 1999. Phylogenetic relationships of Eurasian pines (Pinus, Pinaceae) based on chloroplast rbcL, matK, rpl20-rps18 spacer, and trnV intron sequences. Amer. J. Bot. 86:1742-1753. 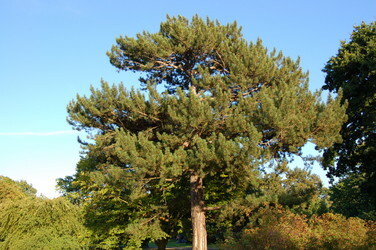 Open grown 150-year-old Pinus resinosa.